Tuesday night, I watched in disbelief as Hurricane Isaac tore through the exact area of the Gulf coast that I first visited in the Summer of 2010. The storm came ashore right over Grand Isle, Louisiana, which is a barrier island South of New Orleans in Jefferson Parish. It was one of the hardest hit areas during the oil spill. If you haven’t been following this story, Hurricane Isaac, despite its relatively low wind speeds, did considerable damage along the Gulf this past week. The storm was very large and slowed down to a crawl once it came ashore. This meant that in addition to the hurricane force winds, the heavy rains off to the east of the storm didn’t let up for days. 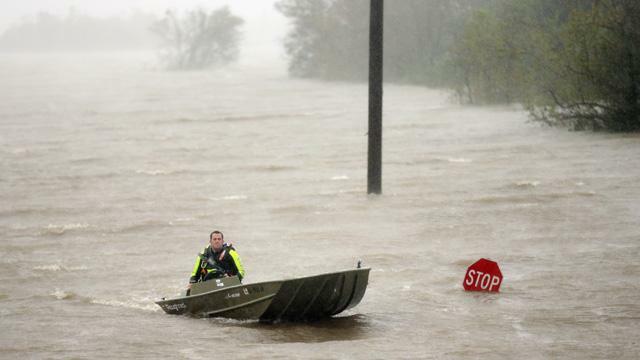 The region is dotted with very low-lying communities that are prone to flooding, which meant that although Hurricane Isaac was only a category 1 storm with winds of 80mph, the impact from the heavy rains caused flooding that was much more severe than the communities were expecting. Many have said that the damage to their homes and businesses is worse than during the devastating Hurricane Katrina in 2005. One of my friends who provides assistance in disaster zones sent me some information this morning that I wanted to pass along. Many of our followers have asked how they can help those who have been impacted by the hurricane. Now that the rains have passed and people are beginning to return to their communities, a picture of the damage is just now coming into focus. Thank you to everyone who is keeping the people of the Gulf coast in your thoughts this week. And a very special thanks to Cameron Beach (aka the Mountain Man) who has been a big supporter of our work along the coast and provided the information above.